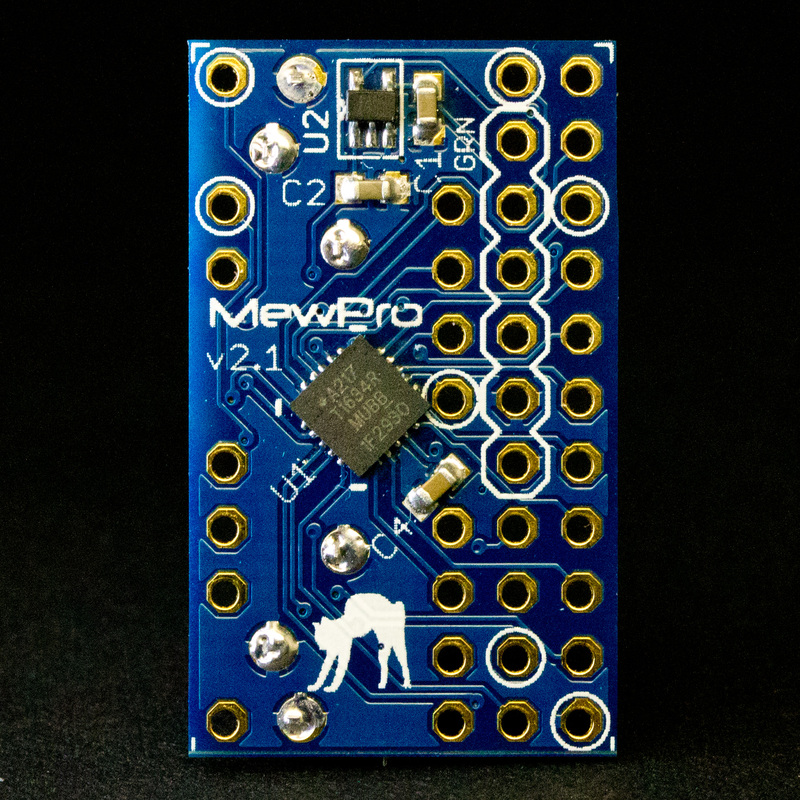 A few people asked us whether or not MewPro could sync two or more GoPros. The answer is YES if you don’t need genlock. A wired shutter release is nothing but a switch of chattering free. When the switch is closed every GoPro’s D2 line get to the GND level and this makes start recording each video (or shutter) simultaneously. In the figure above diodes are added between D2 and switch. These are necessary to protect the GoPros as each of them is powered by a different battery. 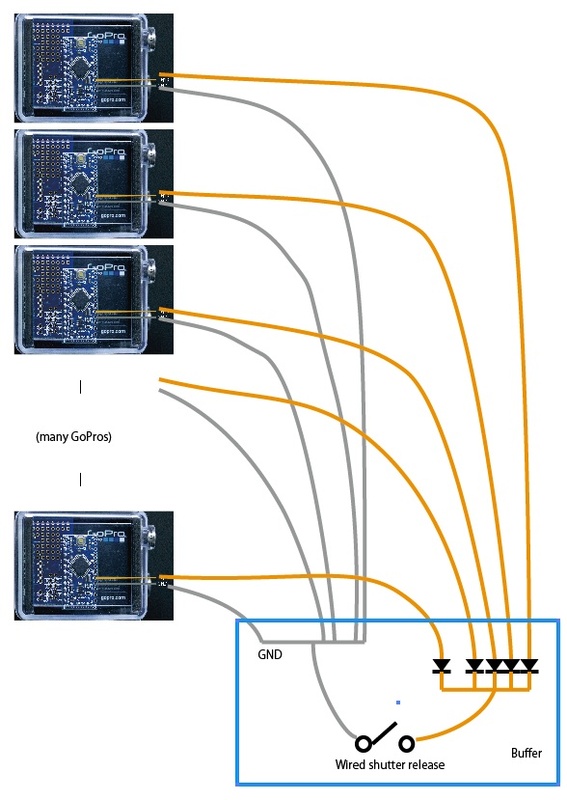 Note: In order to achieve the logic level GND the diodes should be shottkey barrier or low drop (less than 500mV) diodes of same type (eg. 1S4). Don’t use general diodes as they usually have drop off of 1V. 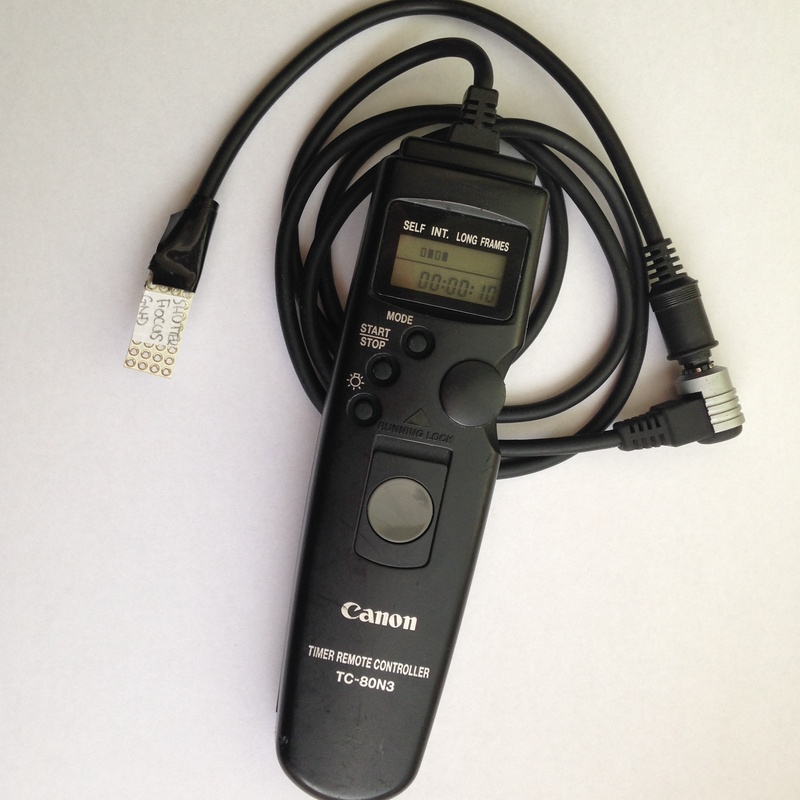 Canon TC-80N3 is an advanced cable remote controller for EOS cameras. This post is to connect TC-80N3 and GoPro. Basically TC-80N3 consists of two independent switches for shutter and focus. It remotely make corresponding circuits inside your camera CLOSE or OPEN. The difference between a mechanical switch and TC-80N3 is it bounces or not. 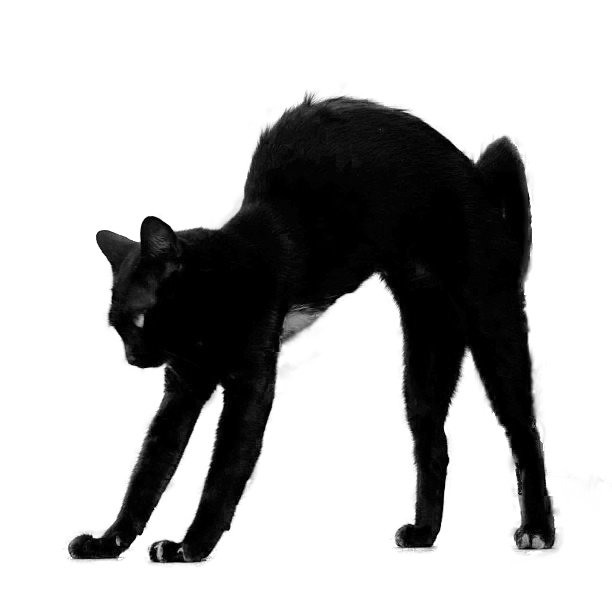 To learn about contact bounce (aka “chatter”) see, for example, Wikipedia. 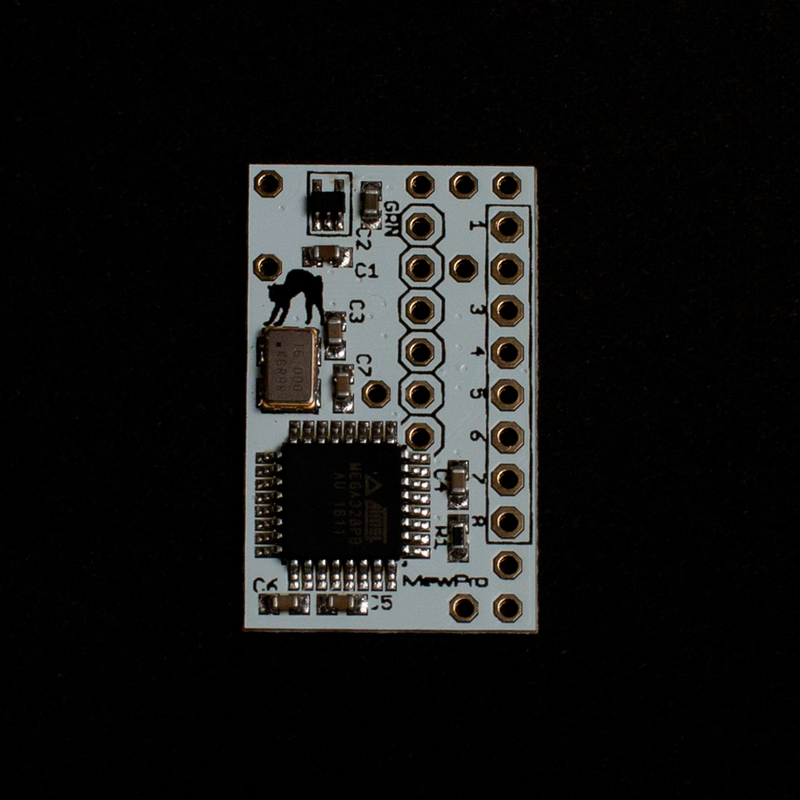 Because TC-80N3 is specially crafted for shutter so that doesn’t bounce we can directly connect it to one of interrupt pins (INT0 or INT1) of Arduino Pro Mini without any additional circuits or software debounce routines. 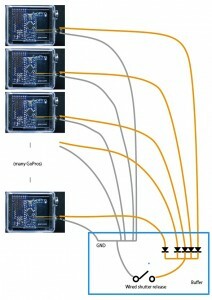 In order to connect TC-80N3 to Arduino its proprietary connector (N3-plug) may be an obstacle. If you don’t mind cutting your TC-80N3 cable then go to the next section “Connection”. Someone has succeeded in buying a genuine Canon part RA-E3 (intended for a inclusion in new EOS60Da bundle) as a replace part from a local Canon Service Center. These cables convert N3-plug to 2.5mm stereo phone plug (male connector), then you can easily find a receptacle that can mates with it. The signals inside both TC-80N3 and its conversion cable are clearly explained in this article. This enables to compile two routines in e_Shutter.ino (one is the interrupt handler and the other is the initializer attaching the handler to the actual signal pin (INT0)). 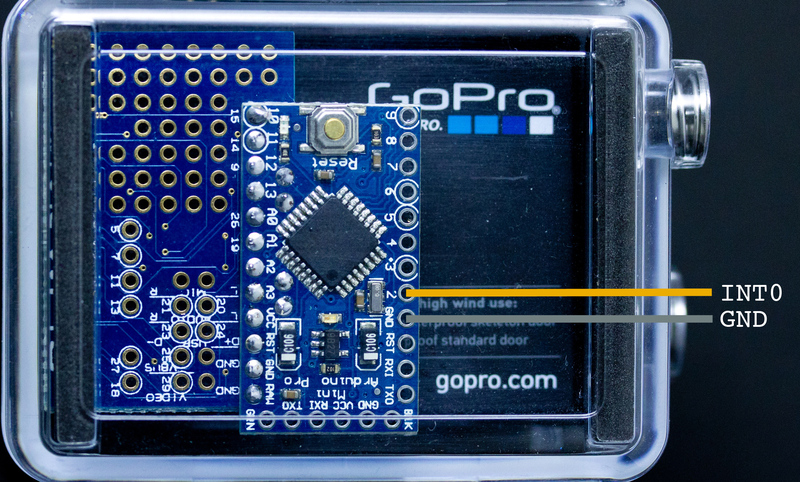 Then connect FTDI temporary header and USB cable to your PC, and install the software to Arduino Pro Mini.